Jowar Aloo Methi Paratha a delicious variation of Jowar Na Dodha from the land of Gujarat. Jowar or Bajra is highly consumed during winters which is known to have health benefits and keeps the body warm. 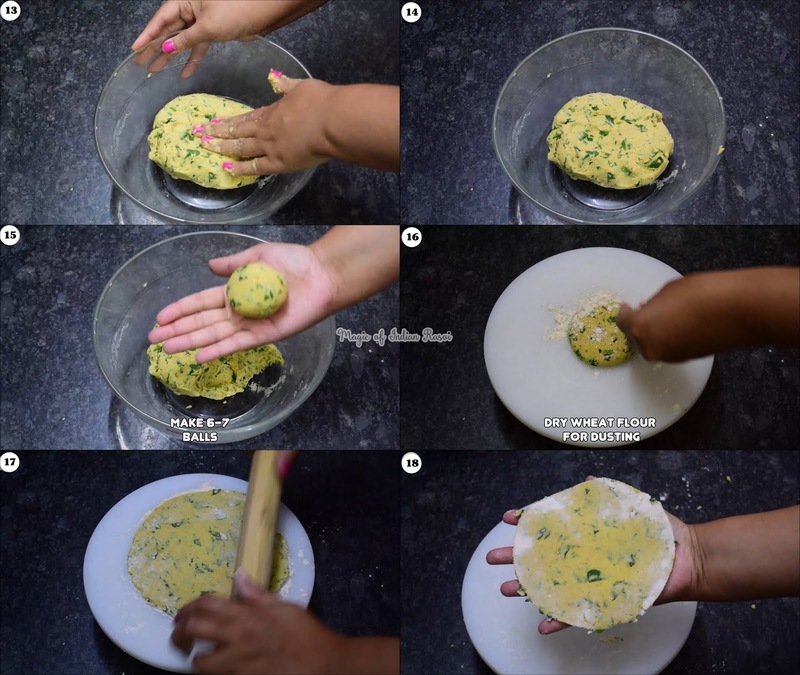 This paratha is very easy to make and does not need any resting time. 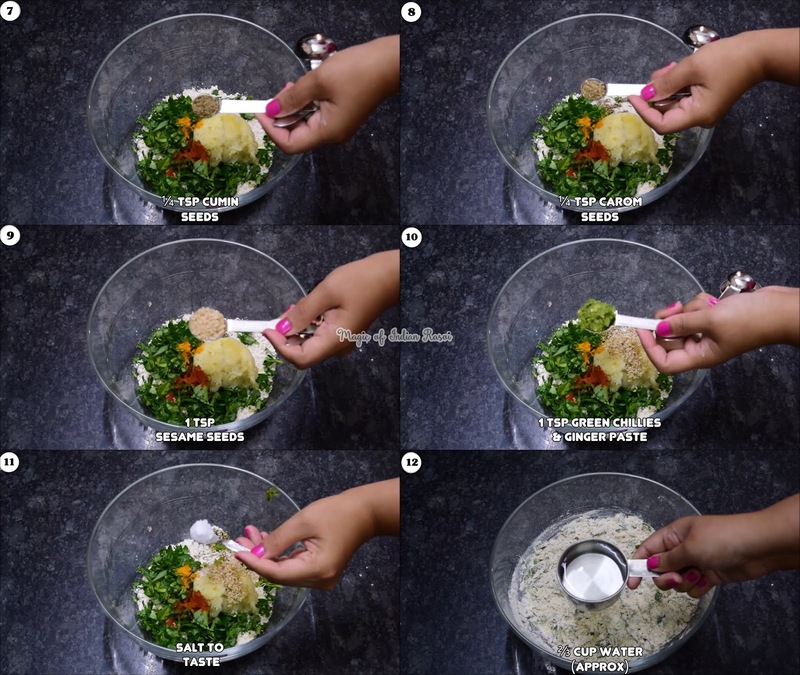 Just mix few easily available ingredients at home and serve for breakfast, lunch or dinner. It tastes great with curd, baigan bartha (also known as ringan nu olo in Gujarat) or any rasawala sabji. 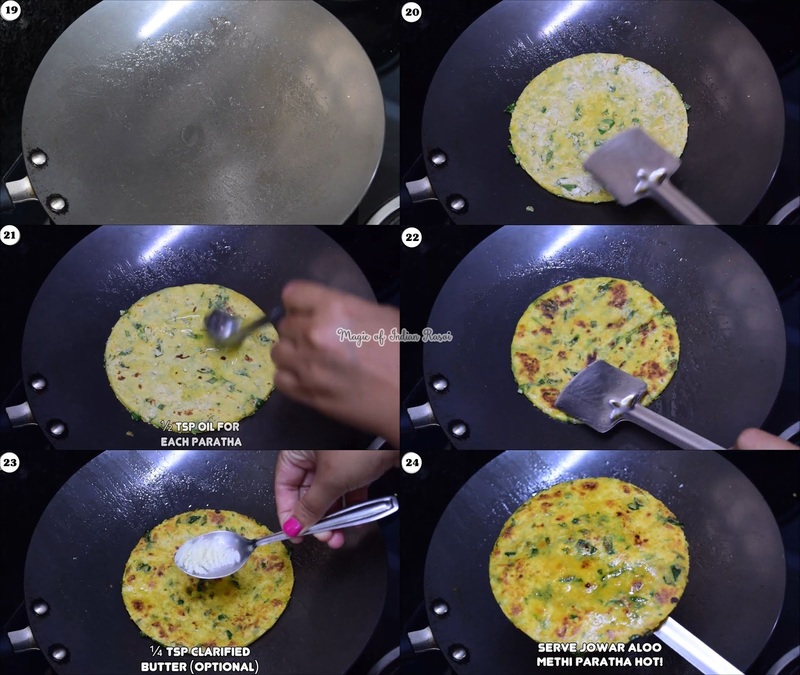 Don’t forget to add a dollop of Ghee on the paratha to enhance the flavor! Do try today! In a bowl mix, sorghum flour, whole wheat flour, fenugreek leaves, potatoes, turmeric powder, red chilli powder, carom seeds, cumin seeds, sesame seeds, green chillies & ginger paste and salt to taste. Using water knead into a medium stiff dough. 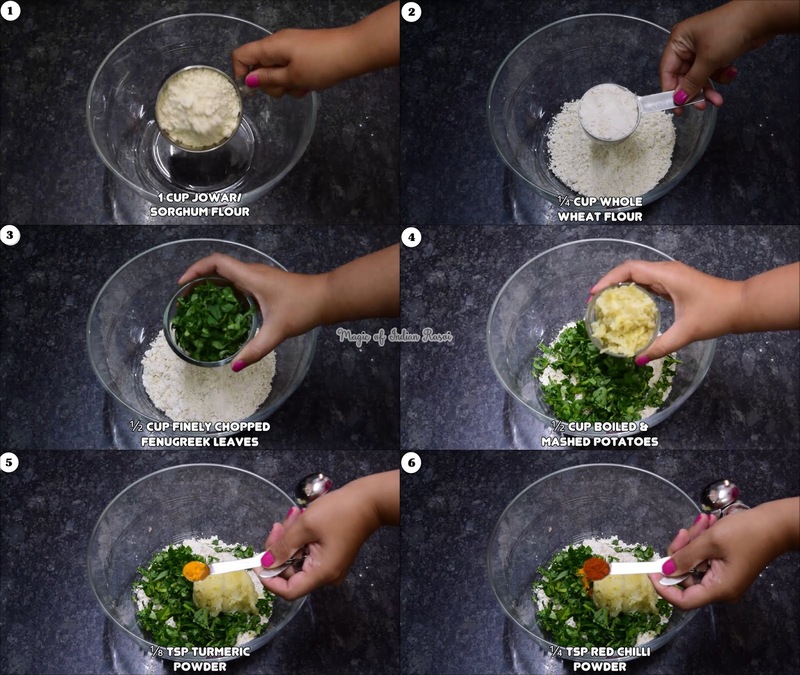 Divide this dough into 6-7 equal portion. Use dry wheat flour for dusting and roll into a medium thick paratha. Place the paratha or on hot tawa or pan. Keep the flame medium. Allow to cook for 30-40 seconds till bubbles appear and then flip over & cook on the other side same way. Apply about ¼ tsp oil on each side and press with a spatula. Cook until golden brown on both sides. Apply ¼ tsp ghee on the top (optional). Serve hot with curd or sabji!